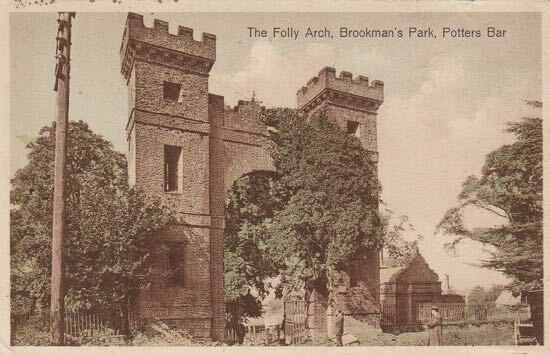 At 3pm on Wednesday July 1, 1914, 1,204 acres of the Brookmans Estate went under the auctioneers hammer. Among the lots were a number of local farms, an old manor house, several small holdings with cottages, and old and well-timbered pastures described as "valuable and improving investments". At 4pm on Wednesday the 26th of July, 1922, 800 acres of North Mymms Park went under the auctioneer's hammer. Twenty lots were up for sale, including farms, land, and cottages. A 15-page sales brochure featuring some of the biggest farms in the parish was produced for the event, held at at the Peahen Hotel in St Albans. Just over the North Mymms parish boundary lies Camfield Place at Wildhill, Essendon. It's the former home of the late Barbara Cartland. Here we have reproduced pages from the 1921 auction brochure for the house and surrounding estate. This site doesn't normally include historical information from outside the parish, but seeing as this is so close we have decided to make an exception. The brochure is from The Peter Miller Collection. Brookmans Park might have ended up on the edge of a garden city if the sales pitch on an auction brochure printed in 1911 had been acted upon. Leggatts Estate on the Great North Road was described as a "unique opportunity" for creating "a higher grade garden city" with its 3,000 yard frontage on The Great North Road. Sales brochure from The Peter Miller Collection. The following images are pictures taken of a booklet containing a map of public footpaths in the area produced around about 1900. The document was produced by The Middlesex, Herts And Bucks Committee Of The Commons Preservation Society in order to encourage walkers to report where paths were blocked or where routes had been changed. Because of the size we have photographed the map in several sections covering North Mymms, South Mimms, and Hatfield. Document from The Peter Miller Collection. The 1870 auction brochure for North Mymms Park. The sale included Hawkshead House, Abdale House, the Manor Tollgate, 361 acres of timbered park, a 57 acre deer park, three compact farms with "excellent homesteads and labourers cottages" totalling 1168 acres. Also in the sale was The Home Park at 57 acres including six "substantial" cottages, and The Wood Lands, 234 acres, including four "commodious" cottages. Sales brochure from The Peter Miller Collection. An auction poster for the sale of "Valuable Farming Stock" at Mr. Fitch's Brookman's (sic) Park Farm in North-Mims (which is what the parish was called at the time), Hertfordshire on April 27, 1815. There are two more pages, not uploaded, which show the handwritten transactions following the auction. The poster and auction sheet were lent to me by local resident John Oakes so it could be put on the site. The auction of Muffets House involved the sale of 150 acres, one rood and three perches of land. (The article explains what rood and perches are). The lot was described as "A commodious family house", and included stables, pleasure gardens, "buildings for the benefit of husbandry", timber trees and plantations. Sales brochure from The Peter Miller Collection. Was this 28-page publication carrying classified adverts, articles, photographs, and local information a one-off? According to local historians, it was published by the North Mymms Ratepayers' Association in 1948. 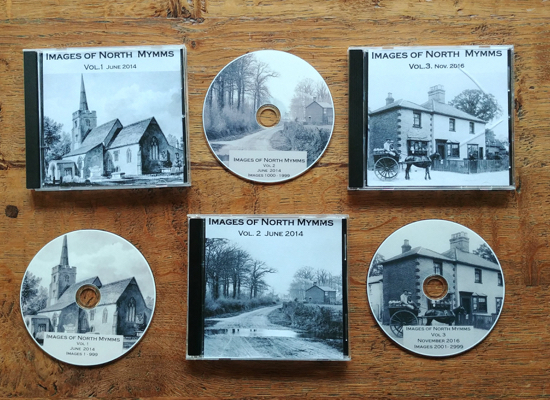 The Association was formed in 1929 and morphed into the North Mymms Residents' Association during the 1980s, finally closing in 1999 due to lack of volunteers available to run the committee and a drop in community interest in the association. From The Peter Miller Collection.